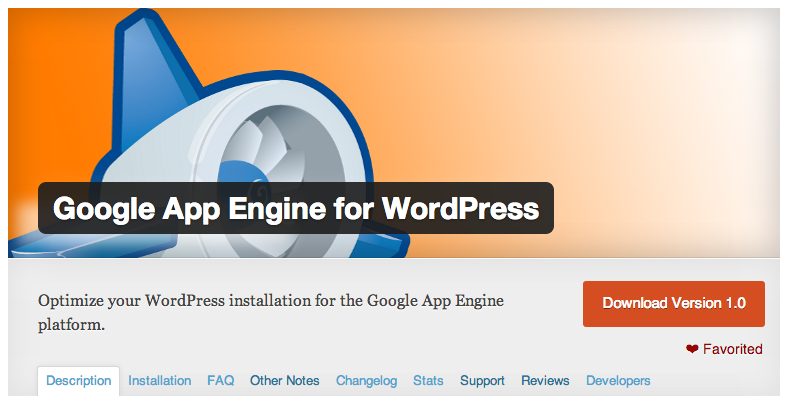 Today we officially launched the Google App Engine Plugin for WordPress. We’ve also put the source of the plugin on github for those of you who might be inclined to want to modify of add functionality. Sending e-mail using the Mail API. Uploading and serving media files to Google Cloud Storage. Full details on how to install the plugin, as well as optimally configure your WordPress site can be found in this detailed post on developers.google.com. The plugin is very easy to configure. Currently there are only two options that you need to be concerned with, EMail Settings and Upload Settings. To enable sending of Email using the App Engine Mail API select the checkbox “Use App Engine Email Service”. By default, mail will be sent from wordpress@.appspot.com, but you can change the address to one of the allowed sender addressed as described here. To configure the upload settings, all you need to provide the name of a Google Cloud Storage bucket that the application has permission to write to. You can follow the instructions here to correctly associate your application to a bucket. Once you have done this, simply enter the bucket name in the correct field to enable uploads to that bucket. When you try and save the settings, the plugin will attempt to write a test file to the bucket to ensure that your application has write permissions. If your application cannot write to the bucket you will be shown a warning at the top of the configuration screen, as shown below. Once your configuration settings are correct press save, and your WordPress site will be ready to send mail and handle media uploads. This entry was posted in appengine, WordPress on June 14, 2013 by slangley.